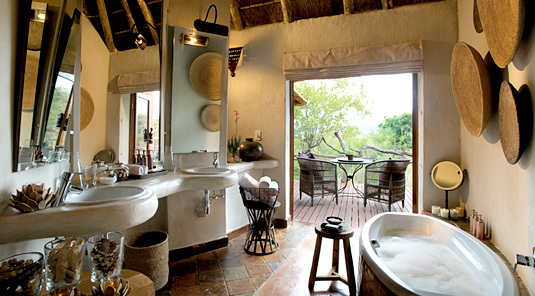 Madikwe Safari Lodge is situated in the heart of the richly diverse and malaria-free 76 000-hectare (187 800-acre) Madikwe Game Reserve - one of South Africa's biggest wildlife sanctuaries. 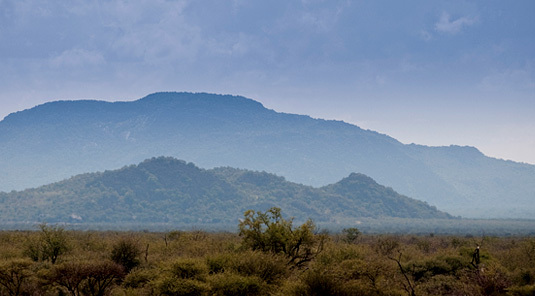 Famed for Operation Phoenix, the world's largest game translocation exercise with the introduction of more than 12,000 animals, Madikwe's diverse geology and broad mix of habitats allows a wide range of African wildlife to flourish - including the Big Five, cheetah and a thriving population of wild dog. 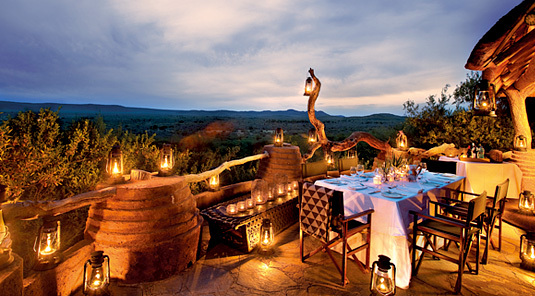 Madikwe Safari Lodge overlooks game-filled plains with the Dwarsberg Hills in the distance and the Marico River nearby. 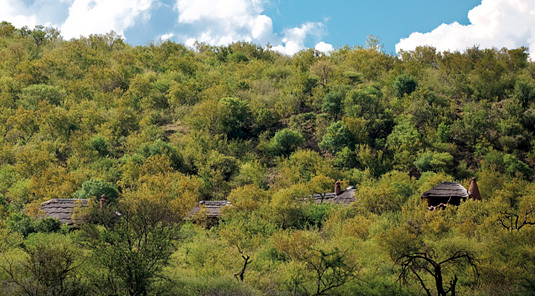 The region is also imbued in history and has seen the passage of Mzilikazi and a range of explorers, traders, hunters and missionaries, including Dr David Livingstone, Sir Cornwallis Harris and the famous South African author, Herman Charles Bosman. 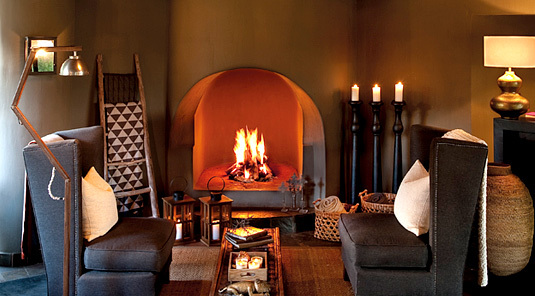 Each suite features a sitting area, a bedroom with circular fireplace, a spacious dressing area with personal bar, an en suite bathroom with bath, indoor and outdoor shower and a private plunge pool. 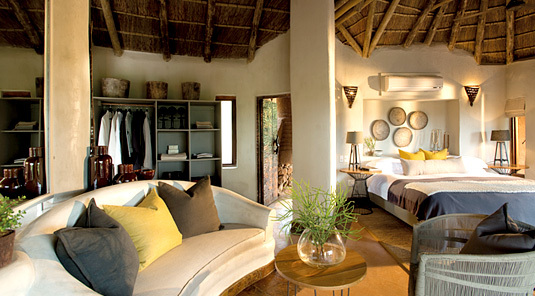 The rooms are organic in design and woven copper screens add intriguing detail. 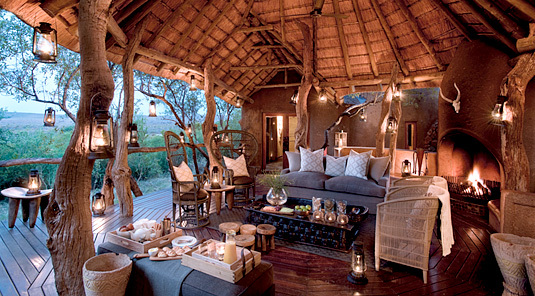 Overlooking Madikwe's game-filled plains, intimate sitting areas in all three camps feature shaded outdoor seating on expansive covered decks. 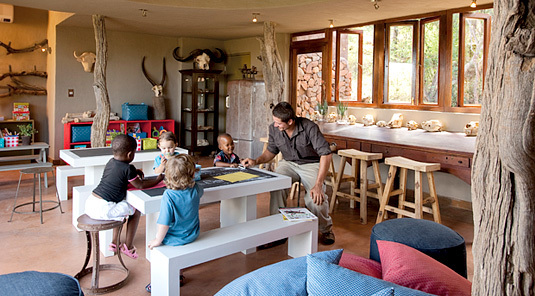 There are plentiful fireplaces both inside and outdoors with pizza ovens for fun dining, book-filled libraries and a unique safari shop. 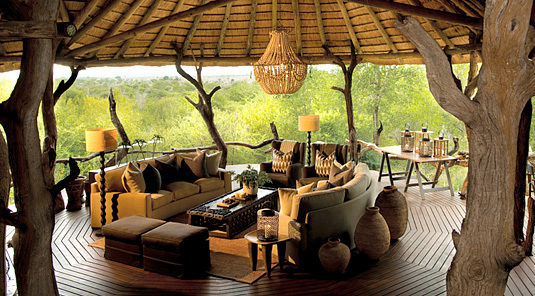 A covered outdoor living room offers beanbags and cushions on the floor for casual relaxation. 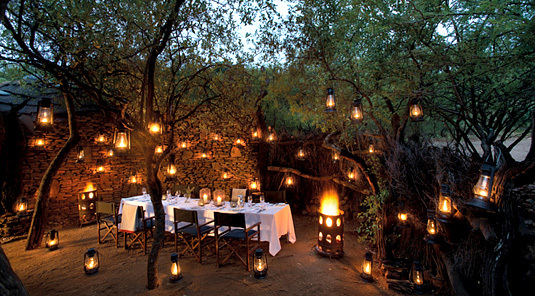 The nearby boma is the setting for starlit dinners. 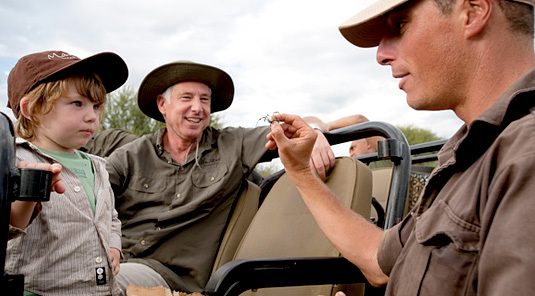 Professional and skilled rangers will deliver a world-class interpretive experience of the bush on morning and afternoon/evening game-drives in 4x4 safari vehicles. 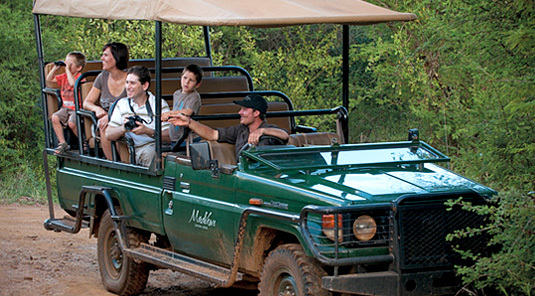 Photographic opportunities of the Reserve's fauna, flora and topography are excellent. 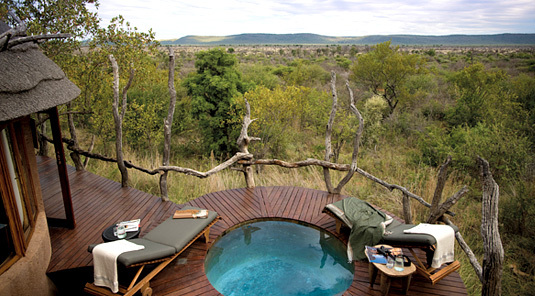 Positioned at the ecological junction between the bushveld and the Kalahari, Madikwe comprises five distinct habitats which are home to an array of African wildlife. 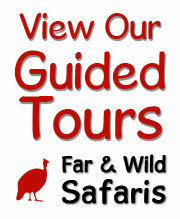 An extensive library can provide further information on the flora and fauna viewed on the days outings. 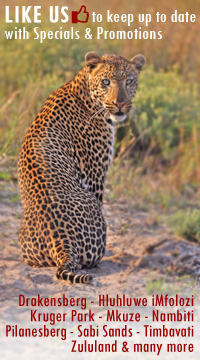 Lion, elephant, rhino, buffalo, leopard - Big Five - also cheetah and wild dog - Magnificent seven. 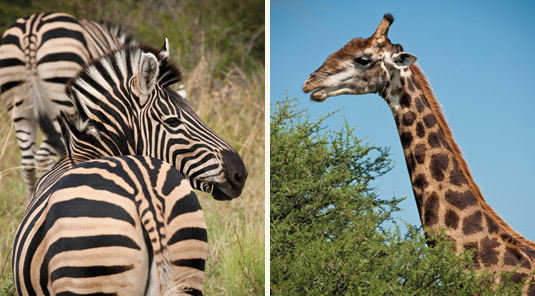 Giraffe, zebra, warthog, baboon, monkey, hippo, crocodile, and a variety of antelope including kudu, impala, waterbuck, springbuck, steenbuck, bushbuck, grey duiker regularly seen, along with a number of the more elusive or less common animals such as oryx (gemsbox,), hertebeest and eland. Wonderful birdlife. Bring your binoculars.! Federal Air operates a daily flight from Johannesburg International Airport (JIA) to Madikwe airstrip, departing at 12h00 and returning at 13h30. There are also daily scheduled flights from JIA and Cape Town to Pilanesberg Airport (Sun City) and into Gaborone, Botswana. Transfers can be arranged for the approximate 2-hour road trip. 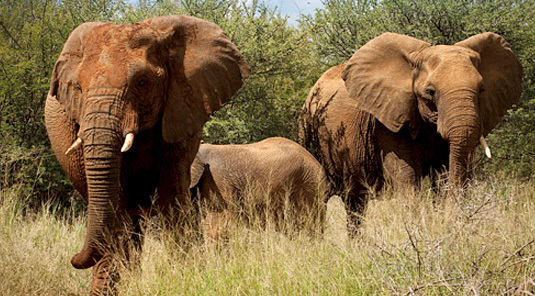 Private air charters fly directly to Madikwe's recently tarred airstrip 10 minutes from the Lodge. 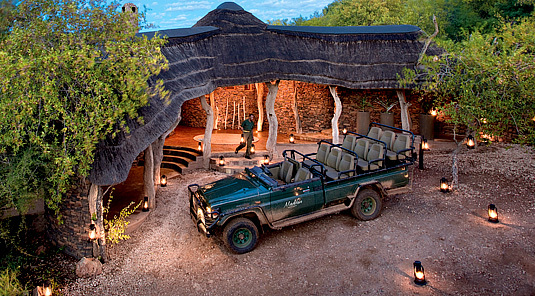 Madikwe Safari Lodge is easily accessible by two-wheel drive vehicle on good roads. The driving time from Johannesburg is approximately 3.5 to 4 hours. 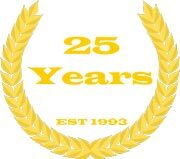 Chauffeured transfers are also available. 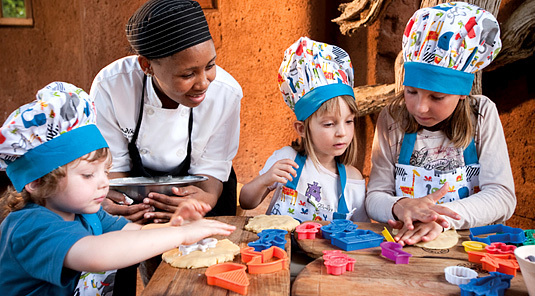 Madikwe Safari Lodge is an ideal getaway for a family as the lodge is child friendly.